A University of California, Irvine engineer has invented a method for analyzing nanowires at temperatures approaching 800 degrees Fahrenheit in first-ever experiments, showing the valuable role the materials could play in converting excess heat from machines and electronics into useable electricity. He and his colleagues were able to achieve this result through the clever customization of a commercially available vacuum chamber and related equipment. Just off the shelf and throttled up to intense heat for other experiments, the apparatus would melt wire coatings and destroy the adhesives used to fuse nanowire chips to their holders. The team alleviated these problems by employing heat-tolerant wiring and screws instead of glues to hold pieces in place. 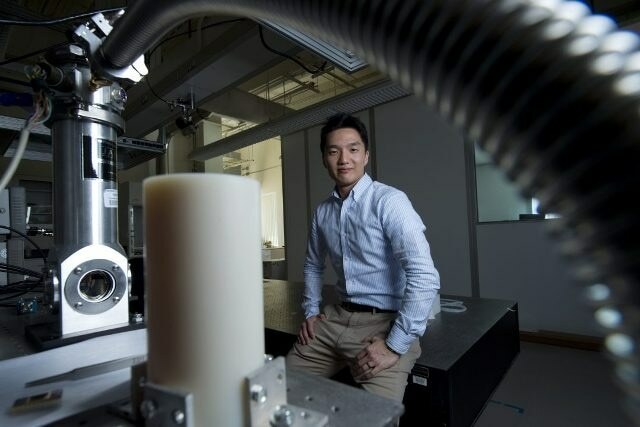 They also created a unique sample mounting platform that minimizes heat loss and lets researchers control the nanowires’ temperature with high precision. In their quest to recycle waste heat, engineers are seeking elements that permit the smooth flow of electricity while resisting heat. In bulk, silicon is a good transmitter of both electricity and warmth. But scientists have long witnessed a sharp decrease in thermal conductivity when dealing with silicon at the micro- and nanometer scales.